October | 2018 | What's Cookin' Good Lookin'? I’ve been on a real vegetable kick lately. Even veggies I hated as a child/teen (zucchini, I’m looking at you!) are being devoured at an alarming rate, and I’m happier than a pig in mud as I hunt down leafy recipes that will keep us all satisfied and healthy. It’s times like this I’m extremely glad that the kids will eat pretty much anything I put in front of them! 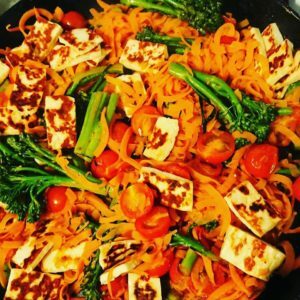 I found this recipe for haloumi and sweet potato noodles weeks ago, and despite the fact that it combines two of my greatest loves – vegetables and cheese – I promptly forgot about it. So when I found it again today while searching my My Fitness Pal recipe database, I knew lunch was sorted! At 266 calories per serve, it makes a great light lunch, with a bread roll or serving of meat not being outside the realm of reasonable additions. As always, I adapted this to my own liking – I didn’t particularly fancy the idea of sprinkling paprika on the haloumi to “make it taste like bacon”, and I stupidly forgot to buy a lemon. But the result was still spectacular, with bowls licked clean and requests for seconds. Extra lemon juice, to serve. Preheat oven to 180C. Place tomatoes on a baking tray lined with baking paper sprayed with oil, and roast for 10 minutes. 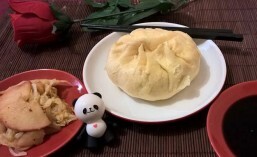 Meanwhile, steam sweet potato noodles in steamer for 8 minutes, until just tender (or in microwave for 4 minutes – be careful not to overcook this way). Drain. While tomatoes and potatoes are cooking, heat a little oil in a large fry pan over medium low. Add garlic and lemon, and cook for one minute. Add broccolini and 2 tablespoons water, and cook, stirring, for 5 minutes until tender and starting to char a little. Remove from pan and cover to keep warm. 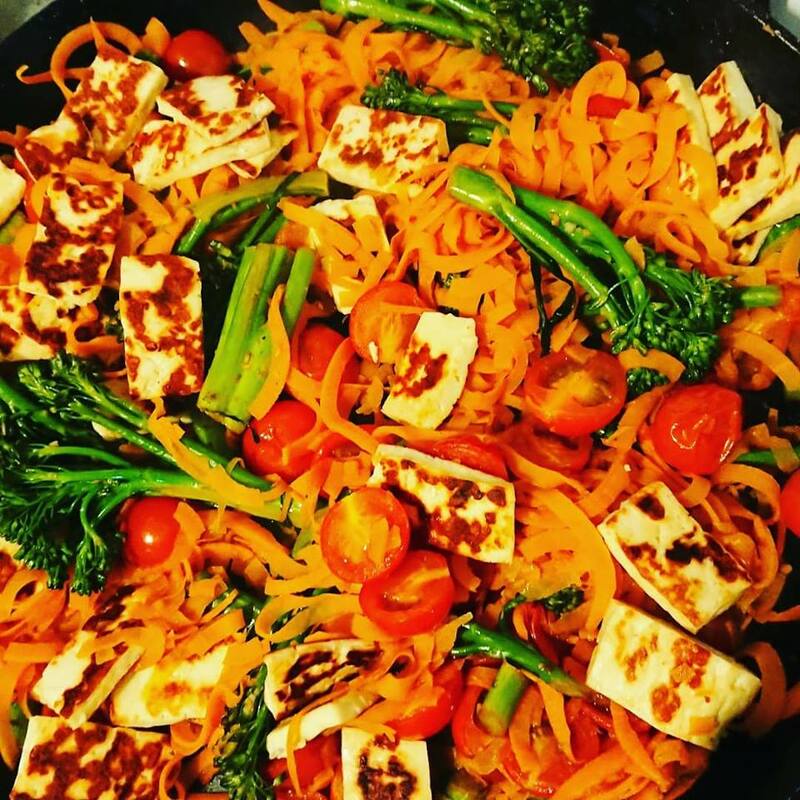 Cook haloumi for one minute per side, until browned and softened. Add vegetables back to pan, toss to combine well. Add extra lemon and season generously with pepper.